Here’s why you should choose GrabCar Premium. Experience spacious tranquility in your Premium rides every day. Our extensive fleet of luxury 4 and 6-seater cars are the most affordable island-wide. Now with $5 off every ride all month long, comfort and calm have never been easier on your pocket. Use GrabPay* to book a GrabCar Premium ride to or from selected areas now as the more you ride, the more you save. Let those extra savings go a long way today, to bring you even better experiences tomorrow. Promo valid from 6-31 July on GrabCar Premium 4 and 6-seater. Payment method: GrabPay (credit and debit card / credits). Code valid to or from selected areas (see map above). 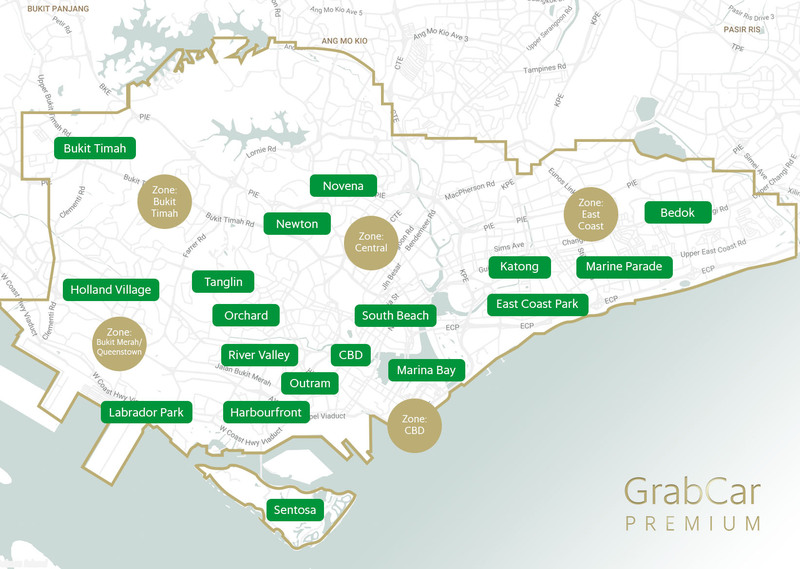 “Here’s why you should choose GrabCar Premium.” (“the Campaign”) is organised by GrabTaxi Pte Ltd. (“the Organiser”) and is open to all Grab users. The campaign will run from 6-31 July 2017, GrabTaxi Pte Ltd reserves the sole and absolute right to alter or end the contest at any time, without giving prior notice or compensate in cash or in kind.